While it's Thursday here in New Zealand, for many other readers around the world it's still Wednesday night, making it the eve of the 2010 Edgar® Awards, often considered to be the 'Oscars' of the crime fiction world. There are of course many other prestigious award ceremonies for crime, mystery, and thriller fiction (see sidebar for some of them) - but I don't think anyone would argue that the Mystery Writers of America Edgars are right up there in terms of prestige (perhaps the CWA considers their Daggers the Oscars, and the Edgars the Golden Globes - but that's a whole 'nother discussion). The Edgars (named of course after the man credited with kickstarting the detective fiction genre, Edgar Allan Poe) have been running since the mid 1940s - a Best First Novel by an American Author category began in 1946 - and have been honouring the creme de la creme of American (and international) crime writing, across a variety of categories ranging from novels to short stories to TV episodes to true crime, ever since. The MWA also gives a Grand Master award for lifetime achievement - this year this is being presented to Dorothy Gilman. New Zealand's own Dame Ngaio Marsh received this tremendous honour in 1978 (incidentally, the year my parents unleashed me on the earth). Within the next 24 hours, we'll all learn who amongst the 2010 nominees will join that glittering list of previous winners. The Edgar Awards will be presented to the winners at our 64th Gala Banquet, April 29, 2010 from 7:30 - 11:00pm at the Grand Hyatt Hotel, New York City. 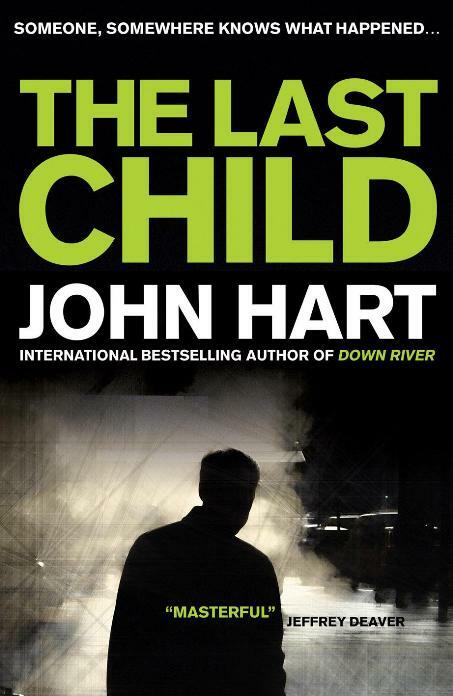 Of the above novels, I have only read one last year; THE LAST CHILD by John Hart (which also won the CWA Ian Fleming Steel Dagger). Quite simply, I thought it was superb - one of (if not) the best crime novels I read in 2009 - so I was very glad to see it make the Edgars shortlist when the announcement was made. It was one of only two 5-star ratings I gave for Good Reading last year. In my review for Good Reading, I said "Put simply, THE LAST CHILD is an exceptional novel; a literary crime thriller that is as much about its rich cast of layered, authentic and damaged characters as its intelligent and engrossing storyline. Hart writes beautifully, evoking aspects of the human condition alongside echoes of the Southern Gothic tradition, building his tale towards a surprising yet most fitting conclusion." I've also heard very, very good things about Nesbo's work (another of his books is in my TBR pile), but know little about the other four shortlisted books and authors. What do you think of the nominees? Who should win? Do you follow the Edgars? Which awards do you see as the most prestigious? Thoughts and comments welcome. I finished, Charlie Huston's Mystic Arts of Erasing All Signs of Death last night. Superb stuff. He's a genius at dialogue and has a fresh angle - the main character gets a job cleaning up murder sites and gets dragged into all kinds of shenangians. Thoroughly enjoyed it, but not for the squeamish. Nemesis is one of Jo Nesbo's finest but I have not read any of the others. I'm still waiting on Nesbo's latest to arrive (apparently a review copy is in the mail) - really looking forward to it as have heard a lot of good things about him, and there's a rumour he might be heading downunder later in the year. I've only read Malla Nunn's book - it's fabulous - evocative of the period (1950's South Africa as apartheid is being implemented) and truly wonderful characters. If the others are of the same quality (and it sounds from the above comments that they are) I wouldn't want to be judging. A Beautiful Place To Die was very thought provoking and eye opening for me. Well done in both the plot and characters. I am hoping my new favorite author, Mike Hogan, gets on the list next year with his new book entitled, the Ovary Wars. It is a crime thriller that also causes you to think about important issues like the fragility of our food supply and human life. I am looking forward to more of his writings in the future. I have got copies of the Malla Nunn and the Last Child to read in my vast pile. (After seeing Bernadette's comment I must prioritise the Malla Nunn!). The only one on the list I have actually read is Nemesis and I hope it wins if only because it is translated. It is a good, thrilling and engaging book but the denouement was totally silly! Most unbelieveable criminal and modus operandi.